Alexandra W. Shortridge, Milwaukee, WI, Litigation Attorney. Alex is an associate in the Litigation & Dispute Resolution Practice Group. Her practice spans a variety of subjects in general civil and commercial litigation, with a substantive focus on insurance coverage. Alex is experienced in negotiating and litigating mass tort coverage cases, including asbestos, environmental, and sexual abuse cases. She has supported all stages of litigation under CGL, D&O and fiduciary policies, as well as bankers blanket or financial institution bonds, and is equipped to advise clients on a broad range of insurance issues, including placing and maximizing coverage. She has recently developed expertise in coverage for data breach incidents both under traditional forms of insurance and policies specific to cyber coverage. Alex's other areas of particular experience include municipal liability and class action defense. Alex is also involved in multiple pro bono commitments, including criminal appellate work, the Marquette Volunteer Legal Clinic, and domestic abuse and truancy prevention. 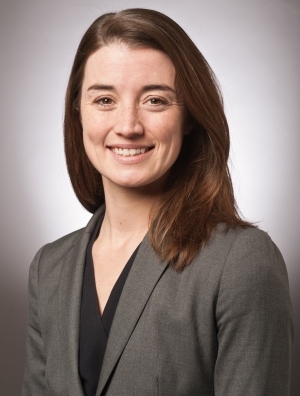 Prior to joining the firm, Alex was a summer associate at Quarles & Brady where she conducted multistate surveys on a wide variety of insurance litigation issues, prepared and participated in presentations on various aspects of class action litigation, and researched and wrote memoranda on emerging issues in Wisconsin litigation practice. Before her time at the firm, she served as judicial intern to the Wisconsin Supreme Court.